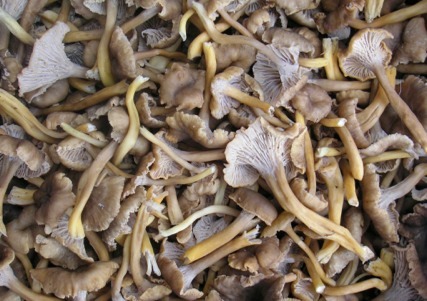 We are very excited about the new offering we have for our restaurants and market customers… wild mushrooms!! Bob recently made a new friend up in Oregon who is as serious and passionate about mushrooms as Bob is about produce. These mushrooms are grown and foraged in the Pacific Northwest, thriving in the same climate and conditions as those enjoyed in Europe. 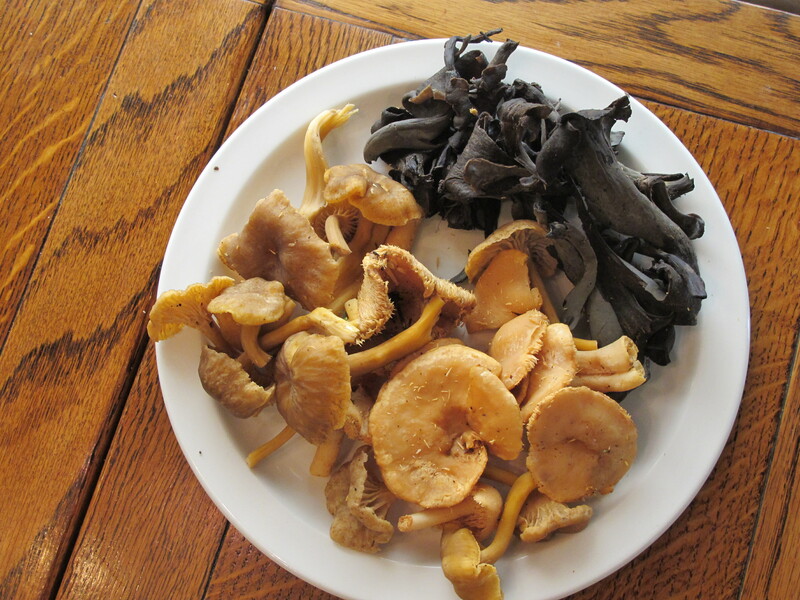 The mushrooms are foraged in the forests surrounding Medford, Oregon. What is the difference between these and those you can find in a grocery store? 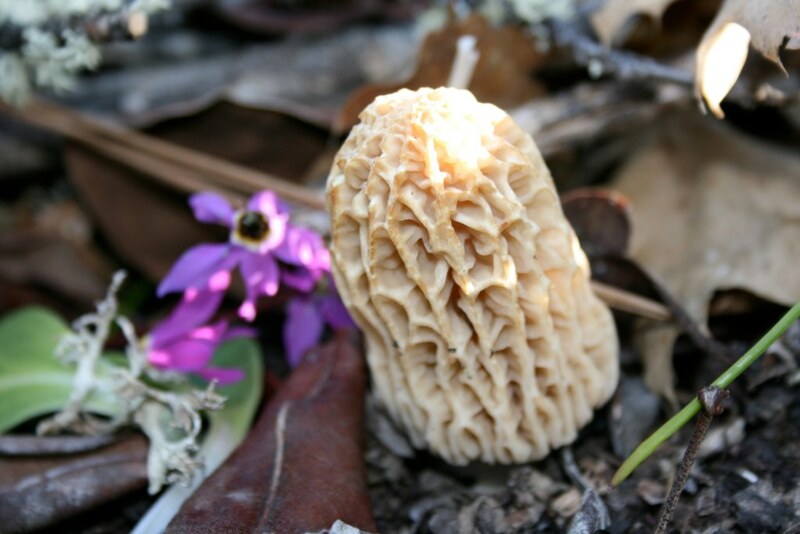 Well, much like our produce, they are foraged, sent and available at our market within a day or two from when they were in the ground. Kept cold throughout the process, so that they maintain premium flavor and freshness. They are never exposed to heat, nor do they sit on a truck for days on end. A few of our chefs have had a chance to sample and play with them, and they were given a resounding thumbs up. Here is what we will have and when they will be available…. And, in case this isn’t exciting enough, we are also getting Oregon Huckleberries from August through November. Can’t wait! 3-5 pcs Grilled asparagus stems coined, left over from your salad last night! Sanitize both sinks in your kitchen and fill them with cold water. 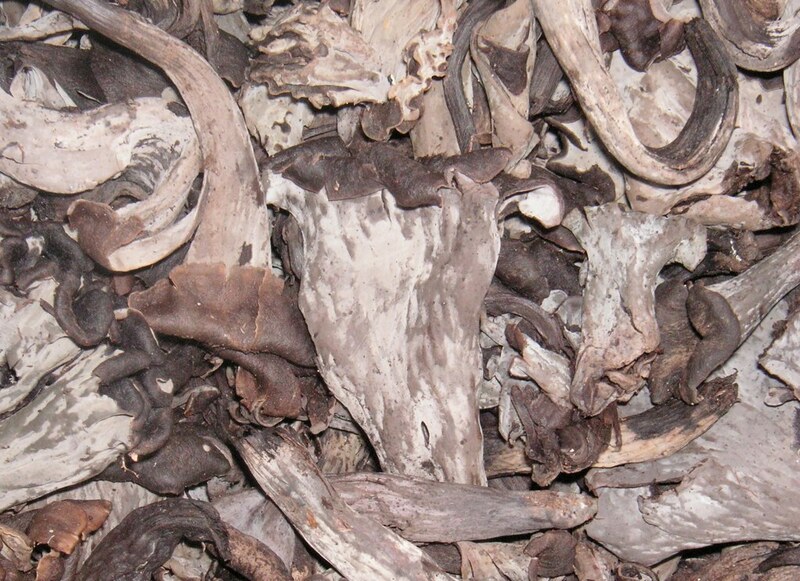 Room temperature or warmer water will harm your mushrooms. Go from one full sink to the next with a colander or slotted spoon. Do not drain then transfer. This causes dirt and mushrooms to remix. 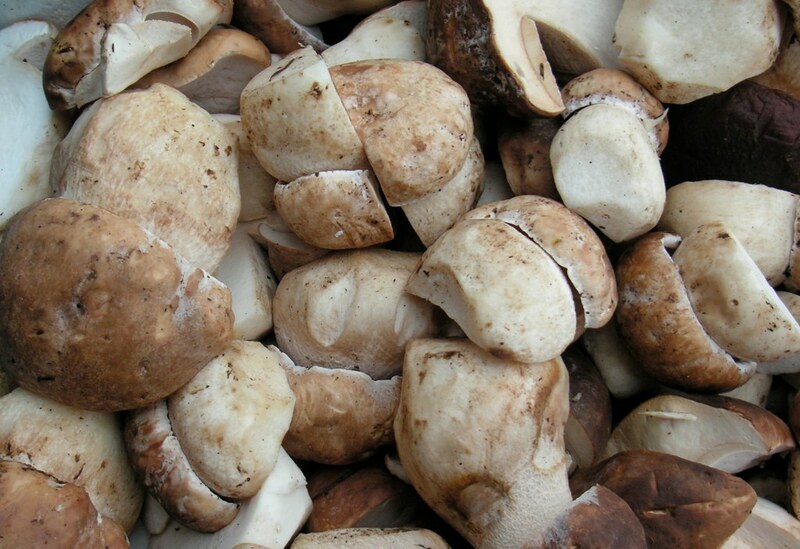 Drain and start with fresh cold water alternating until mushrooms are clean. Transfer to a cookie sheet lined with a kitchen towel. Warm a sauté pan with about 1-2 tablespoons of olive oil. Using your fingers not a knife, break apart mushrooms from the top down. Once broken apart and your sauté pan has a light hue to it add DRY mushrooms to the pan. A little water, a lot of flames!! Do not for any reason touch this pan for 2-3 minutes. Let them cook and caramelize. Look for nicely browned edges, if the pan is too hot take off of the heat and do not sauté mushrooms yet. Let them caramelize. Once nice and brown add green garlic, shallots, asparagus tips and sauté until shallots and green garlic are wilted and fragrant. Add Madeira and flambé. Watch your eyelashes and reduce to syrup, add Red Wine and repeat, flambé, reduce. Add stock and when reduced by half swirl in Crème Fraiche. Cook until thickened, do not boil or the crème fraiche will break. Add cheese, parsley and black pepper to taste. A touch of Red Wine Vinegar or nice Balsamic will be necessary to add acid. Place bread on the plate, spoon over mushroom mixture. In a bowl toss arugula, celery leaf, lemon zest and parsley with a bit of olive oil and salt. Grate cheese over the top and a crack of pepper. I love the sound of this recipe. Can you start adding pictures of the finished dish? Thanks!